New year, new guests, same show! 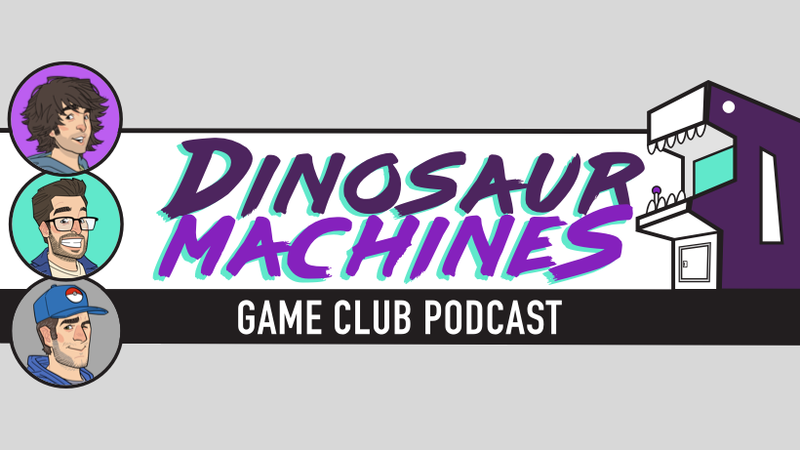 This week Matt welcomes the hosts of the Dinosaur Machines Game Club Podcast: Dan Colonna, Mark Magro and Dave Grima. Matt chats with them about the origins of their podcast and their respective histories within the world of gaming. They also talk about some of their favorite games of the past few years, and what they are looking forward to in early 2019. You can find the podcast on all major podcasting platforms. ﻿But wait, did you know that Crash Chords: Autographs is now on Patreon? Support this podcast (and more) with tiered donations, and in return receive tokens of our appreciation ranging from a shout-out on this podcast to exclusive audio content, custom playlists, stickers, t-shirts, or a fully DJ’d event. This week’s shout-out goes to Stormageddon’s Patreon supporters Rob Starobin, Robare Pruyn, Robert Trimarco and Mary Jane. Visit patreon.com/stormageddon.